Ptr. Renato Eustaquio, a 2007 CPE graduation and senior pastor at Vineyard Christian Church in Bocaue, Bulacan, was our guest speaker. 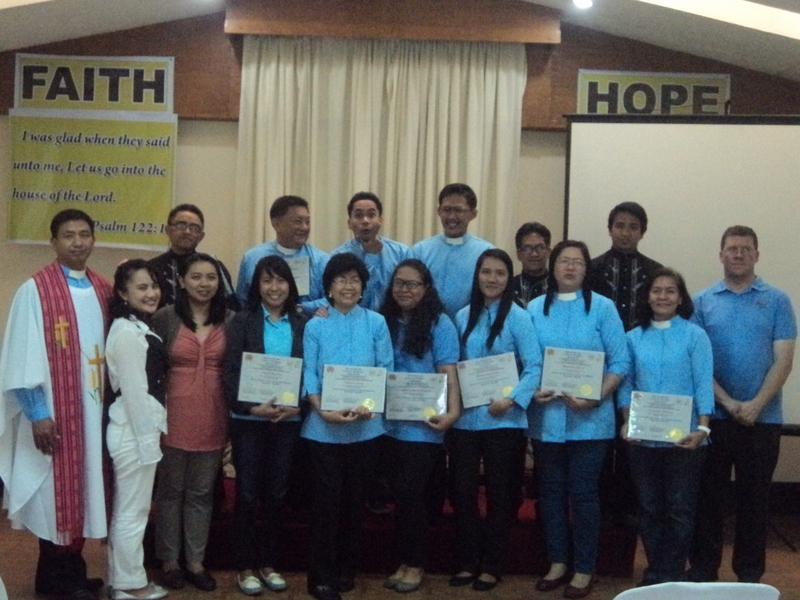 Each trainee also gave their theological integration from the CPE term. Dr. Paul Tabon gave the commissioning at the end of the main service. This was also the first time that Dr. Paul Tabon and Ms. Jehny Pedazo served as CPE Supervisors (SITs) under CPSP-Philippines. Good job!! Afterwards, we moved a few feet from Chapel B to the Bukal Life Care office for lunch fellowship. It was a great day. Congratulations to all who have stayed true to finish the course. We are excited to see what God has for each in the future. Clinical Pastoral Education is provided by Bukal Life Care, in parnership with the College of Pastoral Supervision & Psychotherapy (CPSP) and CPSP-Philippines. Our next CPE groups start in mid-June. Contact us at 0933-302-0373 or info@bukallife.org if you have any questions.